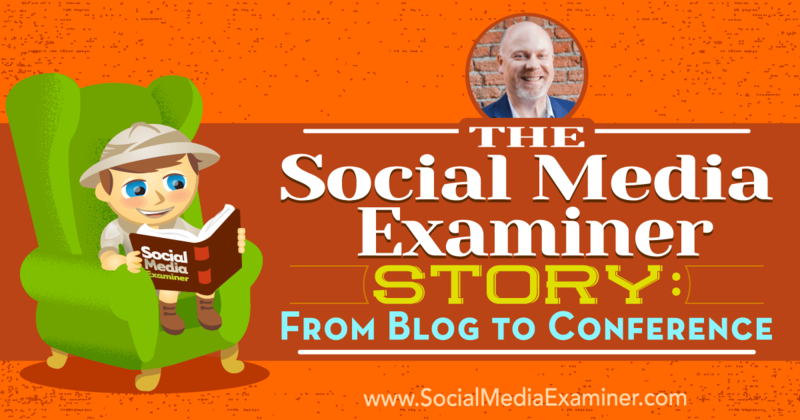 Wonder how the Social Media Examiner blog got started? Interested in how we grew a live conference from an online publication? To share the evolution of Social Media Examiner and Social Media Marketing World, Ray Edwards will interview me. 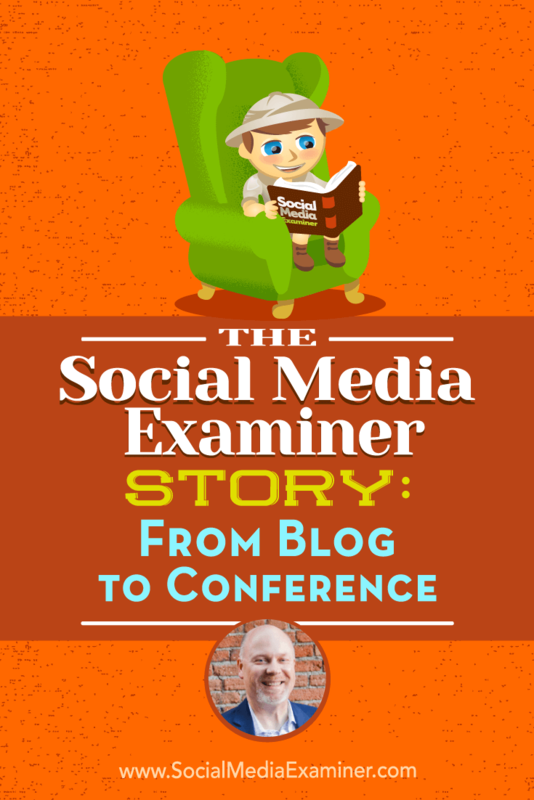 You’ll discover the behind-the-scenes story of how I founded Social Media Examiner more than seven years ago and how we decided to start our own conference. 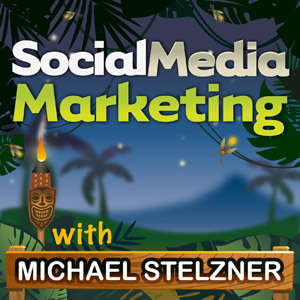 The Social Media Examiner Story: From Blog to Conference featuring insights from Mike Stelzner with interview by Ray Edwards on the Social Media Marketing Podcast. Prior to launching Social Media Examiner, I was writing white papers for clients and I also authored a book called Writing White Papers. Somewhere along the way, I started a weekly newsletter, which included interviews with experts, pieces written by experts, and tips and techniques. I started covering social media and how it could be used to generate more leads for white papers. Subsequently, I reached out to Copyblogger and MarketingProfs, and wrote some articles for them. The turning point came after I sent a LinkedIn request to Ann Handley, chief content officer for MarketingProfs, and she asked if I was on Facebook. After opening a Facebook account, I was immersed in a different world. After Michael Stelzner joined Facebook, he became immersed in a different world. Then, I went to a small conference in San Diego and met Paul Colligan, Warren Whitlock (co-author of Twitter Revolution), and Mari Smith. As a result, I decided to do an online conference under my white paper business. (Up to that point I did teleclasses, where people would pay $39/month to hear me interview people like Bob Bly, Peter Bowerman, and others in the copywriting world.) 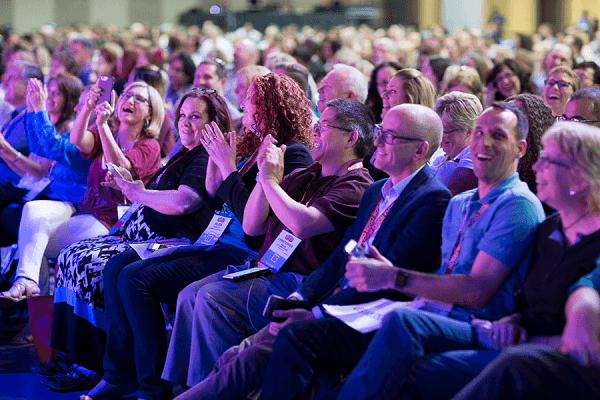 I sold a couple of hundred tickets for the Copywriting Success Summit, more than I ever had for my teleclasses, and the conference was all done via webinars. This led to doing the Social Media Success Summit, for which we sold around 700 tickets. I felt I was onto something, so I searched domain names at GoDaddy, found SocialMediaExaminer.com, and immediately registered a trademark. I had the opportunity to speak at BlogWorld and MarketingProf’s B2B Summit in October 2009. Deciding that would be the time to launch, I hustled to build Social Media Examiner and reached out to all of my friends, asking if they would write one article a month until it didn’t work for them anymore. 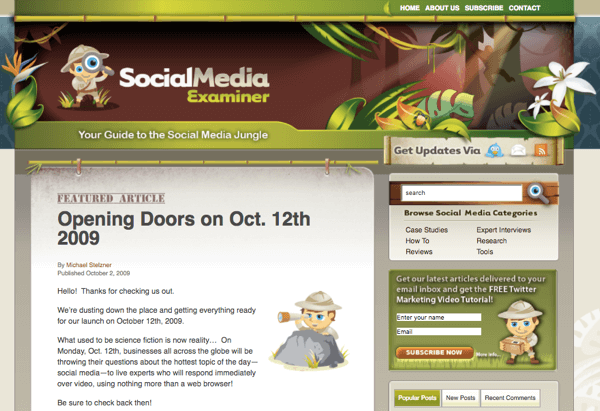 I officially launched Social Media Examiner on October 12, 2009. Listen to the show to learn which connections Ray and I share from the early days of social media. When we launched, blogs were opinion outlets and I wanted to be a resource. That’s why we’re known for how-to content and why our tagline is still “Your guide to the social media jungle.” I knew if we could create content with a certain level of depth or richness to it, it would be smart in the long run; each of our articles is at least 1,000 words long. 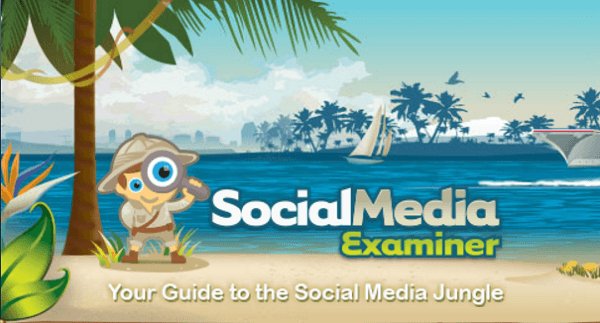 Social Media Examiner puts a lot of time and resources into every article to keep up the high quality. I’ve been in this business for seven years, and almost everyone who started in this space has moved on. It just goes to show you can win in the long run if you consistently deliver excellent value. Many people perceive that there’s no room for them in this space but that’s not true. In any industry, there’s a certain level of fatigue that affects people who have been in it for a long time. There’s need for newness, innovation, and improvement, and that’s where the new people come in. Listen to the show to discover the key to building a great business. I didn’t consider starting a live conference until I attended Joe Pulizzi‘s event (Content Marketing World) in Cleveland, Ohio, about five years ago. It was Joe’s first event and I noticed he had a calm, relaxed sense about him. When I asked him how that could be, he credited the event organizers. He said this is what they do for a living. All of a sudden, I wanted to explore the conference option. Attending Content Marketing World in 2011 inspired Mike to create a live conference. I started taking pictures and notes, and looking at the experience differently. Almost a year and a half later, I held my first live event. After attending a number of live events, I found there were a lot of things I wanted to improve on; a lack of information for instance. I’d show up and have to figure out where I was supposed to go since there was no one to point me in the right direction. Or networking parties that were so loud, I couldn’t communicate with people without yelling in their ear. I wanted to fix those things. Listen to the show to hear more about what leads to the demise of events. Everybody told me the hardest thing about an event is getting people to attend. I knew it would be a challenge; however, I had been building a media company for a long time and it turned out to be the secret sauce. The first conference was in 2013 but I’d started Social Media Examiner in 2009, and had been building an incredibly loyal following. My audience was already getting daily emails and interacting across the social channels. It turns out they were aching for the opportunity to come together. Social Media Examiner developed a loyal following that was very excited about Social Media Marketing World. There were 1,100 attendees the first year of Social Media Marketing World; year two we had about 1,700, year three there were 2,200, and year four (last year) we had 3,000 attendees. We’re expecting 4,000 for year five and have already sold more than 900 tickets as of this recording! We’re projecting to grow much larger, and just signed the contract for 2020. We’ll have more than 400,000 square feet, which is 60% of the San Diego Convention Center, the home of Comic-Con International. Listen to the show to discover how I benefited from being a newbie in the event space. Because Social Media Examiner had been doing online events for years, we knew how to connect people who weren’t physically present. We applied these principles to pre-networking before the live conference. For example, in 2016 we had 78 Slack groups across every conceivable topic. People would share information and engage with each other inside these mini-communities. Then the moment they showed up at the conference, they connected. We also did live video networking training, where attendees could learn how to prepare for the conference, and had a LinkedIn group for pre-event interaction. In addition, we sent a lot of emails (at least once a week) to communicate everything we thought attendees needed to know. By the time people showed up, they were super-stoked to be there. Every year, we have an unofficial meetup the night before the conference starts. Last year, 500 people showed up! The next day, there are workshops and then a big opening night party on the USS Midway naval aircraft carrier. By this point, many people have met each other in one unofficial capacity or another. 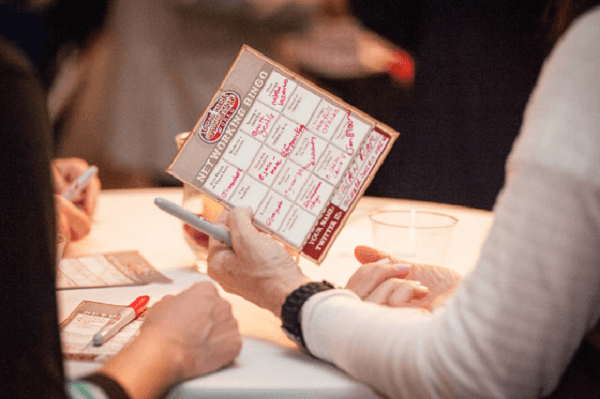 Networking Bingo at the opening night party is a great way for attendees to meet people at Social Media Marketing World. Buses take attendees from the hotel to the aircraft carrier. As people get off the bus, they’re handed Networking Bingo cards. This enables them to easily network with strangers as they fill out the cards. For example, you need to get the Twitter ID of someone from another country, someone who works for an educational institution, a podcaster, a blogger, and so forth. Plus, completed cards are entered to win a free conference ticket for the next year. By the time the party’s over and people come to the next morning’s opening keynote, they’ve already made some solid connections. There are a couple of other things we do to facilitate networking. At check-in, there are stickers people can put on their badge to identify different groups they belong to such as podcaster, blogger, YouTuber, and so on. Then when they meet others wearing the same sticker, conversations are immediately spawned. We also have a Networking Plaza at the conference, where people can sit down at a table to discuss a topic of shared interest with others. At our networking embassy, any attendee can tell an ambassador if they’re seeking someone who works in a specific industry. The networking ambassadors will search the database of attendees for the right connection, text or call that connection to let them know someone wants to meet them, and then arrange a private meetup. Listen to the show to learn how we get so many well-known influencers to speak at our conference. When Ray asks if it’s ever too late to start something new, I admit we were pretty late to the game. The conference started in 2013, Social Media Examiner launched in 2009, and social media had technically been around since 2006. I’m an illustration that anything of quality can come and disrupt any existing industry. It doesn’t matter when. The key is to acknowledge that it takes time. You can’t build something without first building a following: an audience that knows you, likes you, and respects you. If I’d started Social Media Marketing World out of the gate, it wouldn’t have worked, because I hadn’t built up that audience yet. 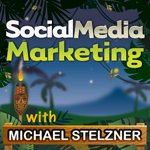 The Social Media Marketing Podcast helps Mike build relationships with influencers. The method for anyone who wants to follow this in any industry is, first and foremost, build great content. Also, build relationships with the influencers in your space. For instance, one of the ways I do this is via my podcast, which is interview-based. Influencers love exposure, so I bring on people when they have new books out or have something else to promote. Plus, I tap their minds and bring their rich value to my community. Listen to the show to discover the two key parts to any event. Our slogan is “Networking, Discovery, and Fun.” We already talked about the networking. The discovery side is the key mission. Attendees discover the best social media marketing techniques from the world’s top experts. The hope is that everyone leaves Social Media Marketing World with ideas they can employ in their own business or where they work. If they work for someone else, they’ll become the hero of that company. If they work for themselves, they’ll have ideas that ultimately help them accomplish their core objectives: driving more traffic, generating more leads, and selling more. We want people to walk away empowered to act and completely transform their business. 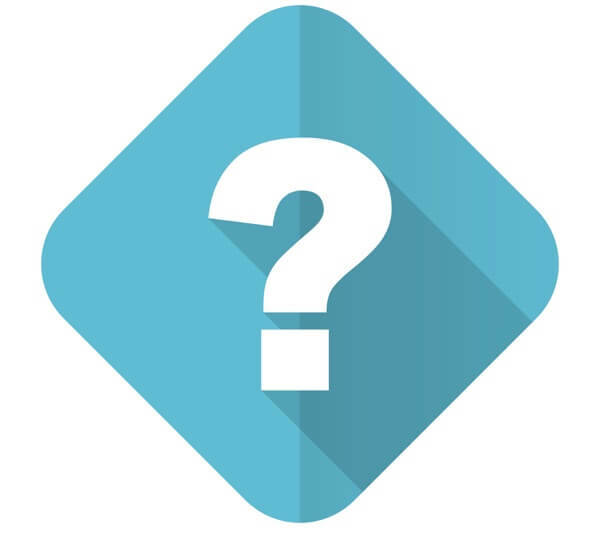 To evaluate if Social Media Marketing World is right for you, ask yourself a few questions. Is Social Media Marketing World right for you? Are you struggling in an area of social media you don’t know how to master? If you invest the money, will you walk away with enough knowledge to get a return on your investment? Will you meet people and develop relationships that will help you in the future? When I go to conferences, I go exclusively for the networking, not the learning. Something special happens when you meet people in person. It can accelerate a business. That’s what happened at BlogWorld and MarketingProfs before I started Social Media Examiner. I’m so excited to bring that experience to others and can’t wait to see what amazing things will result from my conference for others down the road. Listen to the show to hear more about the questions to ask before attending Social Media Marketing World. Social Media Marketing World 2017 is March 22, 23, and 24, 2017. We’ll have more than 120 90-minute sessions and workshops; each one is included in the ticket price. For example, Ray Edwards is doing a workshop on writing copy that sells, John Jantsch is presenting on agency building, and Dan Miller‘s workshop is on how to build a mastermind group. These are business-building and content-creation workshops. At Social Media Marketing World 2017, there will be 120 sessions and workshops. We also have 17 different “themes” on social tactics, such as Facebook, Instagram, LinkedIn, Twitter, Snapchat, Pinterest, and visual marketing. Plus, there are 40 sessions on what we’re calling a creator series: 10 sessions on video and YouTube, 10 on blogging, 10 on live video production, and 10 on podcasting. We also have social strategy, content marketing, measurement, analytics, customer service, and much more. We have about 60 presenters committed and we’ll continue to recruit and add speakers over the next 60 days. It’s going to be an incredible lineup. Some of the recognizable presenter names include Guy Kawasaki, Mari Smith, Scott Monty, Jay Baer, Michael Hyatt, Chris Brogan, Amy Porterfield, Mark Schaefer, Darren Rowse, Joel Comm, and more. Joe Pulizzi is heading up our content marketing track and Cliff Ravenscraft is leading the podcasting track. While other conferences charge for the session recordings, we include recordings of every keynote, session, and workshop to ticket holders at no added cost. Thus if you’re stuck in a very valuable conversation but really want to see a certain speaker, you can stay in the conversation. All recordings will be available for an entire year. The retail price of Social Media Marketing World is $1,597, which is a lot less than other events at this level. Depending on when you listen to this podcast, you may be able to save a significant amount of money on your ticket, which you can then invest in your flight or hotel. To learn more, go to this link and watch the video, which is a two-minute walk-through of the 2016 event. If you’re still not sure, play the video on the agenda page to hear what people you’ll recognize have to say about it. Not convinced? Watch a sample of one of the keynotes for free, and see everything included in your registration on the sales page. There’s also plenty of copy to read, so you can really understand what the event is all about and decide if it’s right for you. 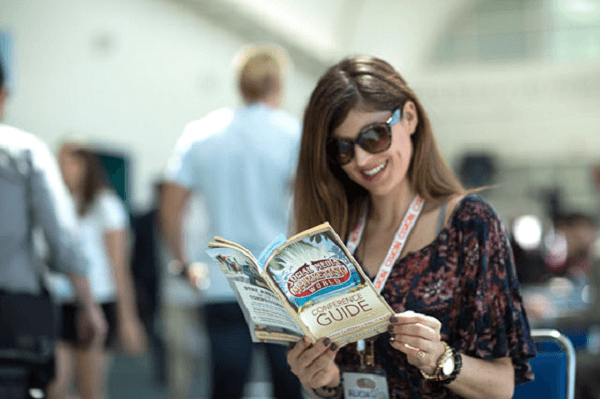 If you’re still wavering, use the hashtag #smmw16 on Twitter and talk to people who went last year or use #smmw17 and ask people who are going this year what they think. Listen to the show to hear why we say Social Media Marketing World is great for introverts. Learn more about Ray Edwards and The Ray Edwards Show. Read Writing White Papers and Launch. Check out my articles on Copyblogger and MarketingProfs, and learn more about MarketingProfs Chief Content Officer Ann Handley. Learn more about Paul Colligan, Warren Whitlock (co-author of Twitter Revolution), Mari Smith, Bob Bly, and Peter Bowerman. Take a look at the Social Media Success Summit. Check out Joe Pulizzi‘s Content Marketing World. Explore the San Diego Convention Center and Comic-Con International. Check out all the Social Media Marketing World 2017 speakers including Ray Edwards, John Jantsch, Dan Miller, Guy Kawasaki, Mari Smith, Scott Monty, Jay Baer, Michael Hyatt, Chris Brogan, Amy Porterfield, Mark Schaefer, Darren Rowse, Joel Comm, Joe Pulizzi, and Cliff Ravenscraft. Get a video walk-through of Social Media Marketing World, hear what people are saying on the agenda page, and check out a sample keynote. What do you think? What are your thoughts on the Social Media Examiner story? Please leave your comments below.